Vardan believes that Khor Virap Monastery is one of the must-visit sights in Armenia. First of all, it has historical importance and its location with the best view of Mount Ararat is absolutely awe-inspiring. For Vardan it is a great opportunity to communicate with different people and solve non-standard problems that happen along the way. The communication with each tourist helps him to learn traditions and customs of other nations. If you want to get extreme experience in Armenia Vardan can be your choice as a guide. He leads jeep, motorbike, hiking tours but his love towards extreme is not an obstacle for him to guide cultural tours and show Armenian heritage at its best. Guide: Both guides Vahe and Vardan were flexible and were totally focused on great service. These guys are amazing - we were very satisified. Car: The bikes were taken good care of and in a good condition. Hotels: Overall I can say that the Hotels were all fine. I’d describe the Best Western in Dilijan as a bit boring (international chain) and their service didn’t correspond to a 4* hotel. What did you like best? The hotels in Yerevan, Silk Road and Gyumri were my personal highlight, highly recommendable individual and cozy hotels. I really liked them. Even though Arara can’t influence neither weather nor landscape, it was anyways fantastic! What could’ve been better? Hotel Nairi in Jermuk wasn’t nice. Arara can’t do anything about the condition of the roads, so let’s just mention it as a side note. Would you recommend us to your friends and family? Yes! Overall both Usha and I very much enjoyed our holiday to Armenia & Georgia. Both are beautiful countries with much to offer the visitor and we are recommending both countries to many of our family and friends. We thought that the tour price offered good value for money. In our opinion the hotel in Yerevan (Opera Suite) was a more pleasant experience than theTbilisi Inn. Although both 4 star hotels, the quality of the room in the hotel in Tbilisi was definitely inferior to that of the Opera Suite hotel. 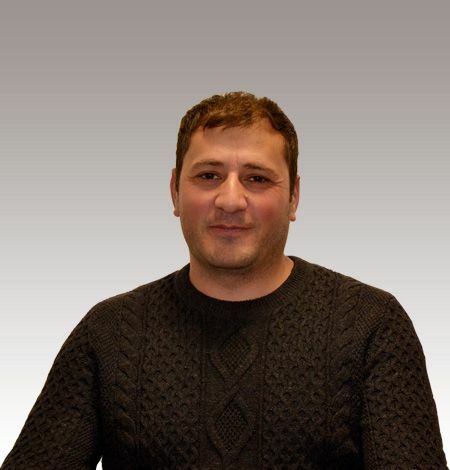 Vardan is a very personable guy who was friendly and very very helpful. We believe, however, he should offer more information. All too often we needed to ask him Mike (guide in Georgia) was great. Again he was super helpful and extremely knowledgable and volunteered all the information (and more) we needed. Toko (driver in Georgia) was also great. He was very good at his job and very polite. In conclusion, thank you Liana for your help in making our holiday so memorable and we will definitely be thinking about a possible South Armenia / Iran holiday.